How Far is KW Engineers Park? 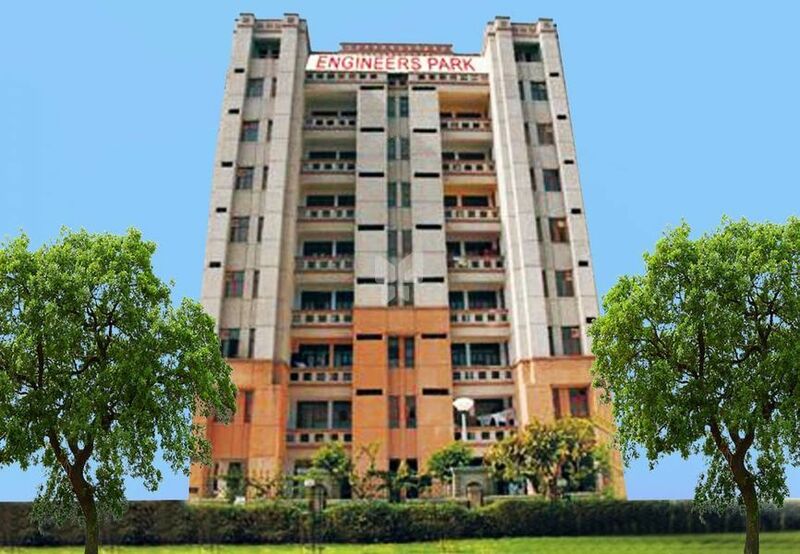 KW Engineers Park is a residential development of K World Group located in Sector Omega I, Greater Noida, Uttar Pradesh. It is offering 3BHK apartments that are spread over a built-up area of 1465 sq. ft. each and 4BHK apartments that are spread over a built-up area of 1700 sq. ft. each. The project is well equipped with all the modern day amenities and basic facilities. A group of visionaries, highly motivated people with a self commitment of re-defining the comfort, luxury and lifestyle of the society, started a mission of Krafting The World, by formulating a group and accordingly naming it ” KW Group “ and ever since its inception, KW group in true sense to its name, has been Krafting The World selflessly. As KW group, we visualize our self as highly aspirant, dynamic, energetic, professional force, eager to scale altitude “for touching heights” well beyond the imagination of even best of the prevailing market standards….., thus taking the world at our strides. We conceive life style scripts, as we believe in offering a lifestyle to customer rather than flat/unit and then with continual passion & effort, translate the script in to a revolutionary concept, which facilitates us to develop unmatched master piece facility much more glorious than the glory of illusion, thereby taking passion, project and performance to a level where work starts speaking about our self, rather we talking about our work. Come and listen this language of performance and luxury at any of our projects like residential facility “KW Srishti” …………… a new bench mark in the residential sector for the market to follow. Definitely “A Dream Legacy for the Progeny“. To revolutionize the entire real estate sector by creating a new markets standards, with new benchmark projects, that makes India pride and world’s Envy. To change the global perception about India’s real estate market by evolving KW Group as a brand image of India’s real estate sector. We strongly believe and acknowledge the India’s talent and contribution in transforming the world real estate sector to its present status and visualize that it is just a matter of initiation, before we start developing and delivering the project which can give competitive challenge to the world’s most renowned master pieces & Skyscrapers. To create a new residential segment of affordable luxury in the real estate market. To strive for an everlasting cordial relation with all our associates, customers, employees and all stake holders by considering them as equal partners in mutual growth and adding a new dimension in professionalism by super transparency, fairness and mutual respect in all our dealings. To deliver positive and memorable experiences to the people we serve by continuous innovation in product design and processes with integrity and transparency. CHANGE AND INNOVATION “Ideas before Results”: we believe in embracing changes to stimulate creativity and ingenuity that is central to bring new product and services. CUSTOMER CENTRICITY: we strive to add value and inspire our customer as we recognize that they come to us by choice. INTEGRITY: we uphold the highest standard of integrity in all our actions. COLLABORATION: “Work As one” we harness difference and interdependencies to unlash the power of one. EFFICIENCY AND EXCELLENCE: we focus on results acts with ambition of operationally competitive. RESPONSIBILITY: we are willing to take responsibility of our actions and their impact.